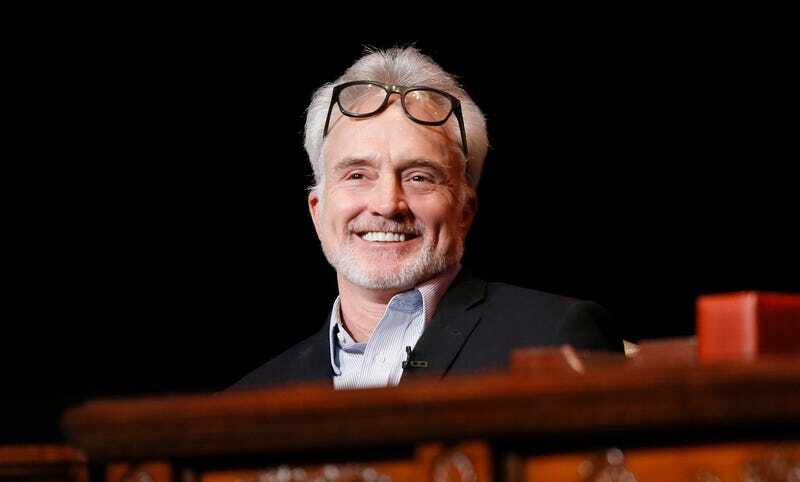 Bradley Whitford is returning to prestige television, and I for one couldn’t be more pleased that I get to watch him act serially while simultaneously not having to watch The West Wing. Following his psycho-hilarious turn as White Dad who says “If I could I would have voted for Obama for a third term” (actual character name “Dean,” which I obviously had to look up) in Get Out, Whitford will appear in a recurring role on Season 2 of Hulu’s Emmy-decorated drama The Handmaid’s Tale. Deadline reported on Thursday that Whitford will portray Commander Joseph Lawrence, the mastermind behind Gilead’ economy, who is (in Deadline’s words) “gruff and intimidating, with a disheveled mad genius vibe” but with “sly humor and flashes of kindness.” He either sound complicated, or like he possesses the persona every straight guy attempts to project at every party, or both. The Handmaid’s Tale returns to Hulu on April 25 with 13 new episodes.